Cambridge, MA (June 28, 2018) – A bicyclist in Cambridge was hurt Wednesday when they collided with a car in Cambridge, Massachusetts. The bicyclist was riding on Franklin Street, near Bay Street around 1:00 pm when they collided with a car traveling at the same location. The resulting collision left the bicyclist with injuries. Cambridge Police investigated the crash. Officers have not released additional details surrounding the collision as they continue to investigate. Fortunately, the bicyclist’s injuries are not life-threatening and it appears as though they escape this crash relatively unscathed. There is no word on whether police intend to charge the driver for their role in the accident or why this collision occurred in the first place. Bicycle accident cases involve delicate issues of traffic and personal injury law and should never be handled without an attorney. 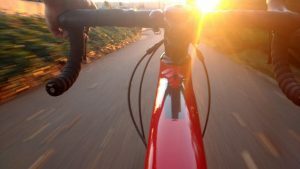 If a bicyclist can prove that the driver was negligent in causing the crash, they may recover for their injuries. Drivers can be negligent by failing to pay attention to the bicyclist, failing to yield the right of way at stop signs and stop lights or following them too closely from behind resulting in a crash, among other things. At the Law Offices of Jeffrey S. Glassman, we have assisted bicyclists injured in accidents in and around the Boston area. If you are facing this situation, please call our office today for a free consultation to speak with one of our team members about your case.